Like many other spheres and domains of life, the literary space too worked on the politics of gender. It was long thought to be a space marked only for men, and women were always discouraged from writing or reading. But, there were some women writers who did not let anyone limit their potential. They wrote extensively and let their work speak for themselves. Her works became representative of the feminist ideas in the 20th century. 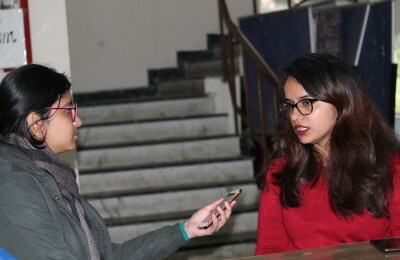 Lihaaf is one of the most celebrated short stories written by her which talks about homosexuality in Aligarh. It was leveled with charges of obscenity but she never compromised on her outspoken nature and never apologized for the same. She won the case in court and became nothing less than an inspiration for the future generations of intellectuals. Known for her famous dictum, “A woman must have money and a room of her own if she is to write fiction.” from her essay A Room of One’s Own (1929), Virginia Woolf was an English writer and one of the most talented modernists of the twentieth century. She was raised in a wonderful household where her father was a historian and author, and her mother had been born in India and later served as a model for several Pre-Raphaelite painters. She was also a nurse and wrote a book on the profession. Woolf was a happy child but soon was distressed after being sexually abused by her half brothers. She also lost her mother and her sister soon after, which led to a nervous breakdown. But, despite all these challenges, she took up Ancient Greek, Latin, German and history at the Ladies’ Department of King’s College London. Her novels like Mrs. Dalloway (1925) and To the Lighthouse (1927) gained much appreciation and are still read enthusiastically. Maya Angelou was a poet, novelist, actor, civil rights activist and what not. She had published seven autobiographies, three books of essays and several books of poetry. Her first autobiography called I Know Why the Caged Bird Sings (1969) outlines her life up to the age of 17 and brought her much international recognition. Her works revolve around the themes of race, identity, society and culture and she was considered a respected spokesperson for black men and women. nishitaag@dubeat.com A IInd year English(H) student from Daulat Ram College, whose idea of a perfect day is seeing herself coiled up in bed with an interesting book and strong coffee. A huge believer in binge-watching, she is currently following a plethora of series ranging from How to Get Away With Murder to Brooklyn Nine-Nine. She can be found in the amphitheater of the college, sharing her love for debating with fellow members of the society. Known for her great sense of humor, she works everyday to overcome the only fear she has, the fear of remaining mediocre. 10 Indian Women writers you need to read this Women’s History Month.